Celebrating the Islamic New Year at Al Jazeerah in central Jakarta. Open up and say ‘bah’. After you’ve been told enough times about a certain dish, you figure that if it’s that popular, they must be doing something right. When the plate is finally in front of you, you get lost in anticipation and you know that it’s going to be just as good as everyone said; that moment is why people go out to eat. 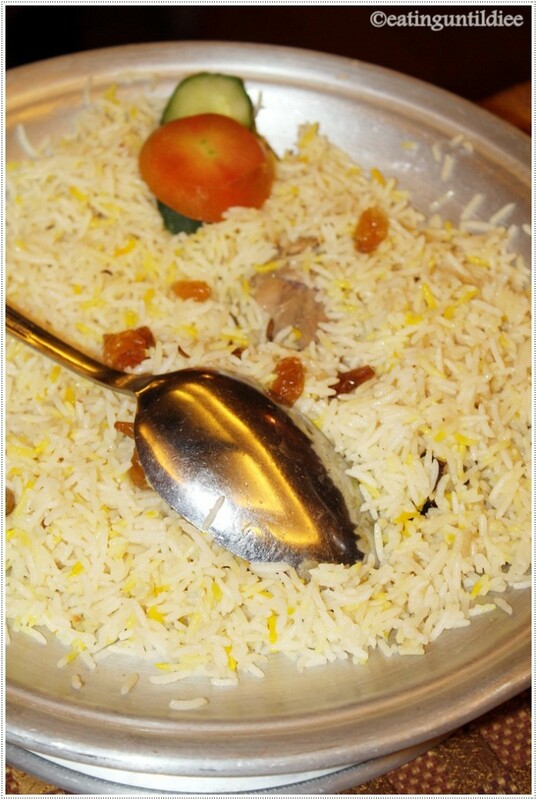 The Lamb Matbi Ruz Mandi at the Al Jazeerah restaurant is one of those moments. The flavors are deep and complex, but in a way that speaks of generations of collective culinary knowledge rather than cooking school flash. The lamb is ridiculously tender, the fat almost translucent and effortlessly flavorful. Eating this dish with slices of pita and tiny mountains of fragrant rice, washing it down with strong Turkish coffee; it all just feels right, almost a little spiritual. This is the kind of kind of cooking where you begin eating and slowly but surely lose the power of speech, let alone the cloying urge to stop and Instagram your food. That would be disrespectful to lamb this good. This is eating that requires you give your whole self over to it, mind, body, and soul. For a people who have turned eating goat and lamb into an art form — Michelin judges will never eat at warung Iga Bakar Si Jangkung in Bandung, and that’s their loss — Arabic cooking isn’t as widely popular in Indonesia as you would expect. An evening at Al Jazeerah should be enough to change that. Selamat Hari Raya Tahun Baru Islam! The post Of Goats and Gastronomy appeared first on Qraved Journal.